Protest against Controversial Indian Islamic preacher Zakir Naik at New Delhi. 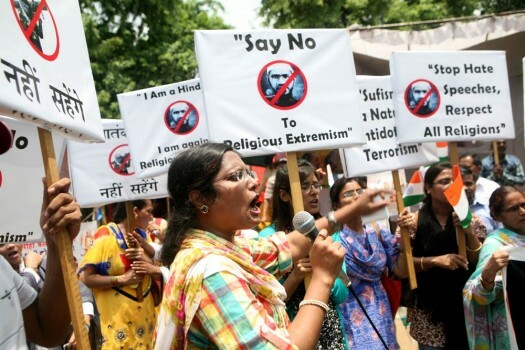 Protest against controversial Islamic preacher Zakir Naik, in New Delhi. 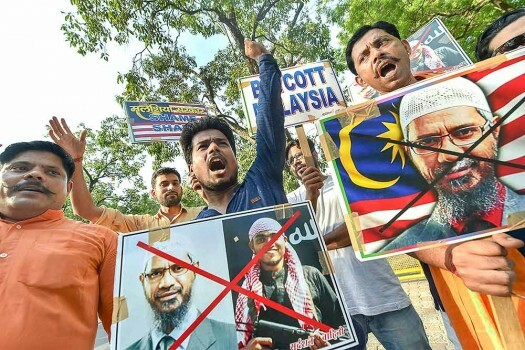 People during a demonstration in support of controversial islamic preacher Dr Zakir Naik, in Chennai. 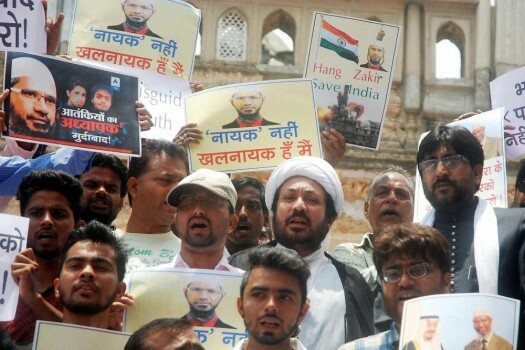 Activists of Shia National Front protest against Islamic preacher Zakir Naik in terrorism in Lucknow. 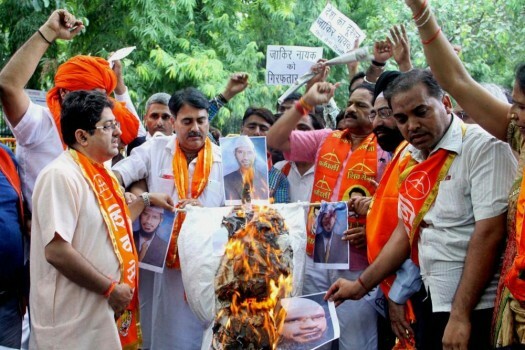 Delhi Pradesh Shiv Sena activists protest against Zakir Naik in New Delhi. The Enforcement Directorate had issued a provisional order for attachment of assets registered in the name of Naik's family members, located in Mumbai and Pune, under the Prevention of Money Laundering Act (PMLA). Charged under the Unlawful Activities (Prevention) Act (UAPA) two years ago, Naik was declared a proclaimed offender by the court in June 2017. 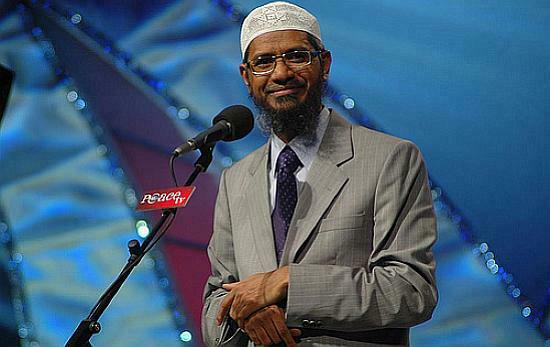 Naik's statement, issued through his PRO in Mumbai, came amid reports that he was being deported to India from Malaysia. The state education department has ordered an inquiry and issued a show cause notice to the school in this regard. Interpol rejects request for lack of chargesheet, NIA to submit fresh report. 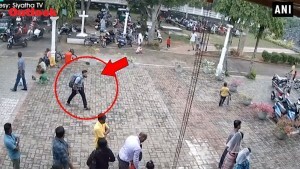 The 51-year-old televangelist, who is currently abroad, is being probed under terror and money-laundering charges by the NIA. This comes after the external affairs ministry recently July 13 said it had started the process to revoke the passport of Naik. 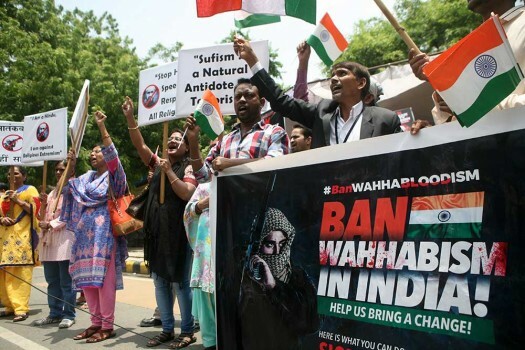 In a country that grants full freedom of expression and execution to the likes of Dr. Pravin Togadia and Sakshi Maharaj, it is specious to demand a ban on the preacher's activities. 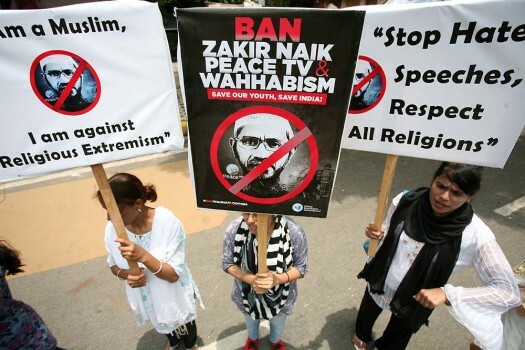 Holding that Naik's foundation's plea challenging the Centre's decision has "no merit", the court said the order of the government was "not arbitrary and illegal".